The Travels of an ER Doctor: My Ultimate Rewards Cyber Monday score! My Ultimate Rewards Cyber Monday score! Black Friday came and went without much fanfare this year with regards to purchases. I spent time with family and didn't care to line up in the cold or at night to get a few dollars off a select few items. I made a few purchases through the Ultimate Rewards shopping mall to take advantage of the bonus point offers, and scored a decent amount of points. Come Sunday night, the Ultimate Rewards shopping mall dropped their Cyber Monday bombshell: using points, you could make purchases at "25% off". Supposedly, you could buy a $100 for 7500 UR points (with the valuation of each point at 1 cent per point). Sifting through their offerings, it turns out that they had items at a significantly higher discount! 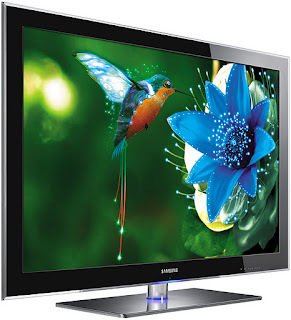 I purchased an $1899 retail Samsung 59in 3D 1080p Plasma TV for 57k UR points, or 70% off! Even if you value UR points at 2.14 cents each, which many do, it still came out to getting a $1899 item for $1219. It seems that Chase is really pushing the Ultimate Rewards with great redemptions and promotions. I believe we'll see some healthy competition between American Express's Membership Rewards and Chase's Ultimate Rewards in the coming months! Tune in for details on how I travel using mostly credit card bonuses, airlines miles, and points. Delta Airlines - Not eligible for upgrade!